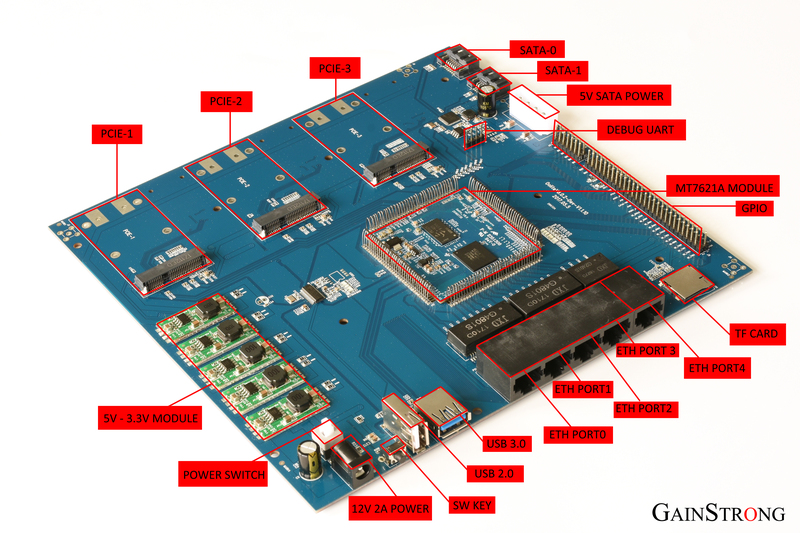 Oolite V8 Upgrade Instruction | Oolite Device | hello, sincere and open world! 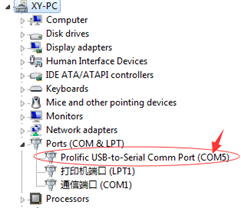 Port value may be different because of using different PC USB ports. Verify the right one for your PC. 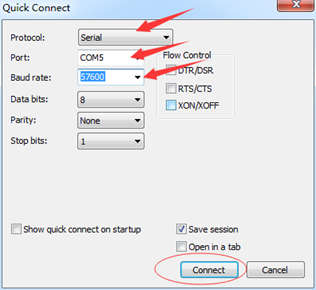 Click “Connect” with verifying input correct port number and baud rate. 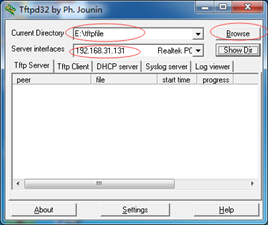 Open TFTP32 with double click and verify that the file for upgrade should be placed in same directory of TFTP32. Black to GND; Green to RX; White to TX(From left to right, order should be 3.3V,RX,TX,GND). Power on board after checking all cables available. Hold reset button and power on. 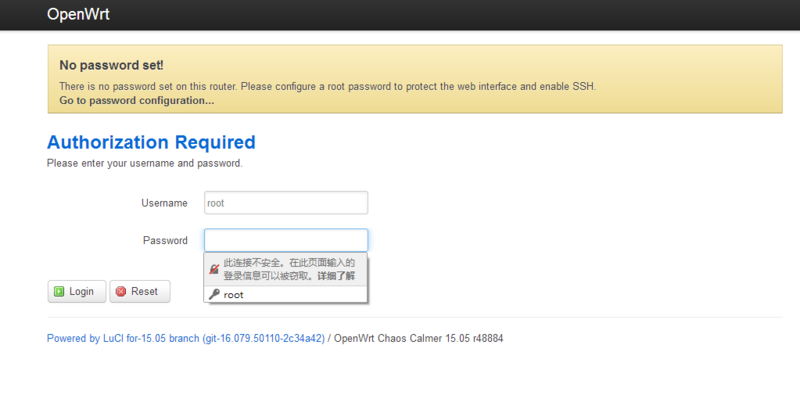 (or Select “4” -> “help” -> “httpd” on SecureCRT. Serial log would be like picutre below). Backup for back up current firmware. 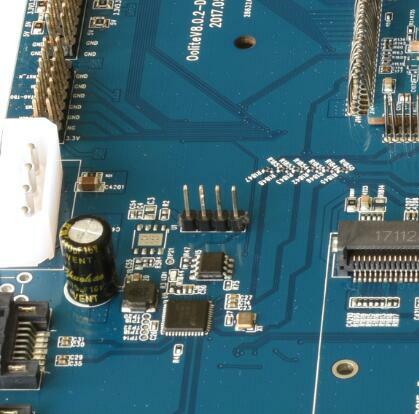 Open the power supply. Waiting for system starts operating. Enter "192.168.1.1" in browser. 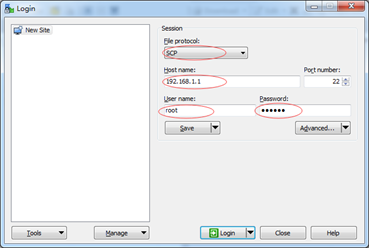 Go to password configuration and verify user name with a new password. 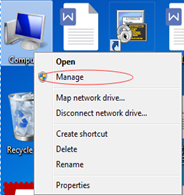 Open the “winscp” software in windows 7. Verify user name and password then click login. 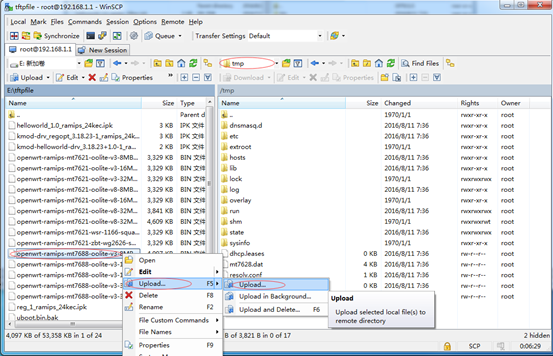 WinSCP shall form a connection of PC and openwrt so that users can transform data between each other. 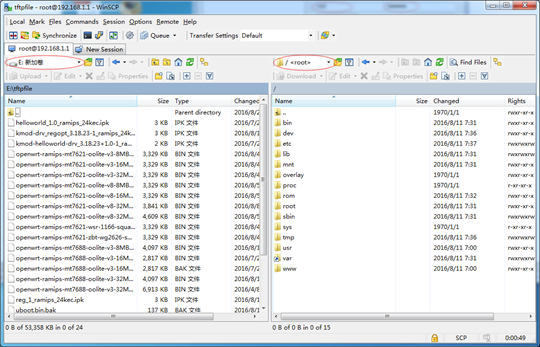 The left side is the windows 7 system files,and the right is the system files of DUT. 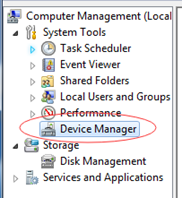 Select correct files that you want to upgrade device. Right click the file and upload it to /tmp directory of DUT. 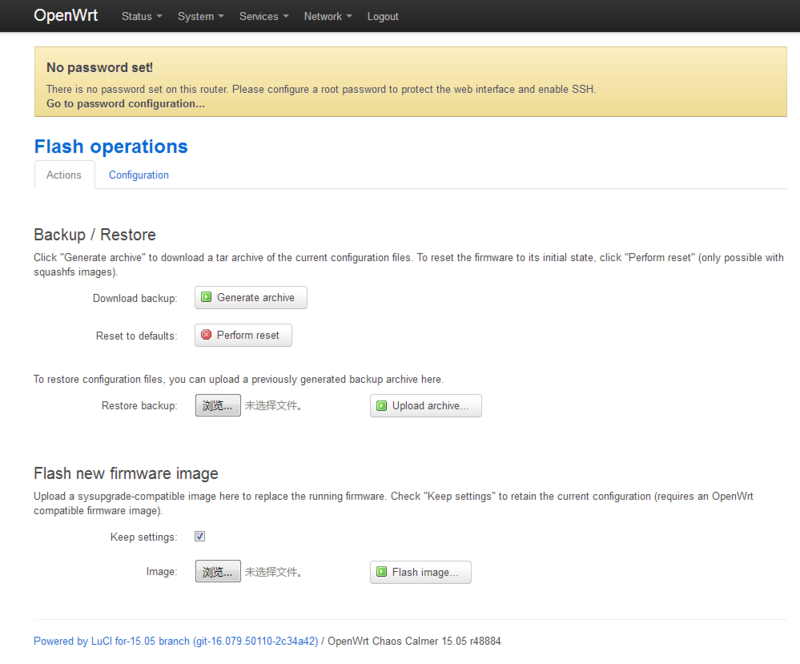 After uploading all files needed, enter /tmp directory on SecureCRT. 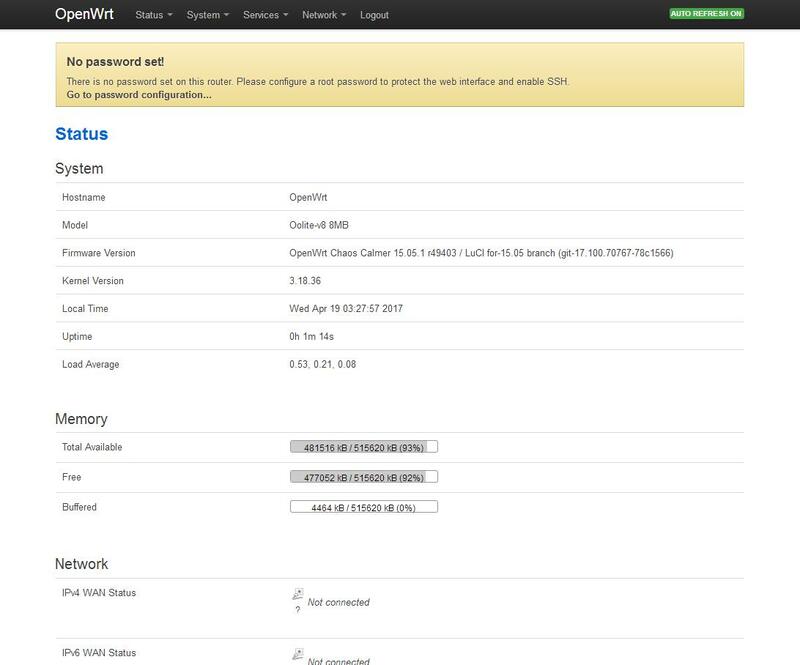 By input "cd /tmp correct" – "mtd erase /dev/mtd3" – " mtd write openwrt-ramips-mt7621-oolite-v8-8MB-15.05-v20170419-G8368.bin /dev/mtd3". 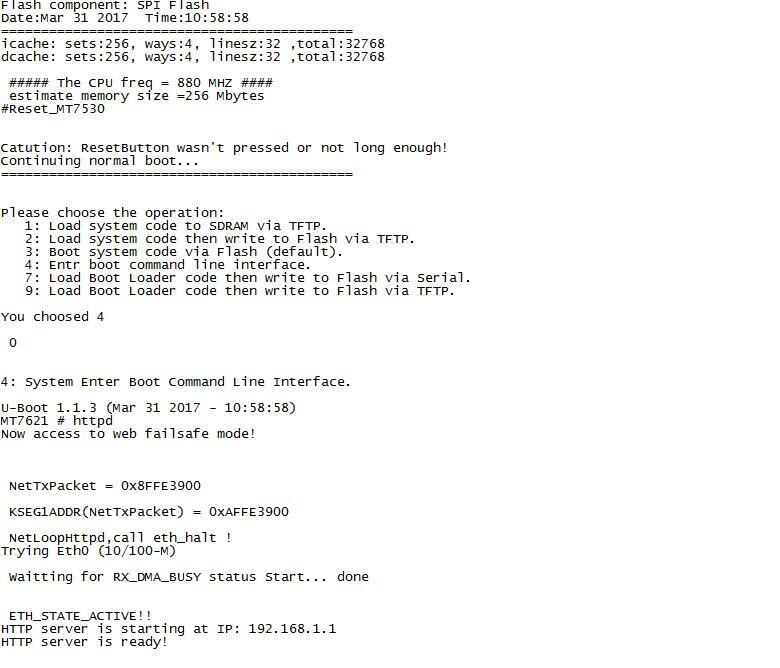 Firmware "openwrt-ramips-mt7621-oolite-v8-8MB-15.05-v20170419-G8368.bin" has been successfully upgraded.